Room Panel – Wall Mount. Room panel, Flush mounted with touchscreen and backlit display for the CTU series communication controllers. 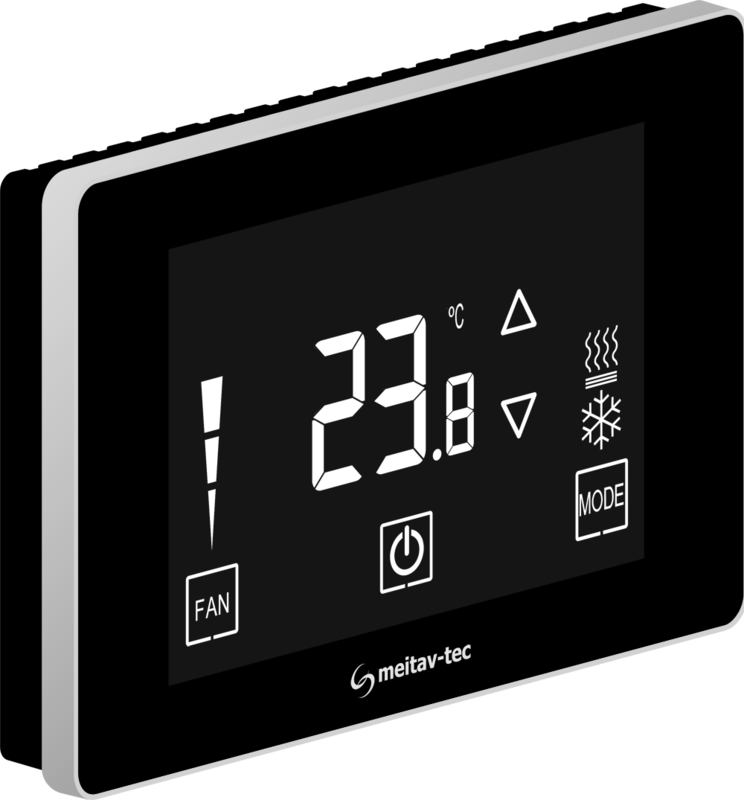 The MTS Touch Screen is a stylish thermostat that is well suited for commercial and residential applications. It can control either Heat/Cool A/C systems or Fan Coils (2-pipe or 4-pipe systems) and offers 3 fan speeds and VFS (0-10v) fan control. 6 D/O, 2 A/O and 2 U/I. 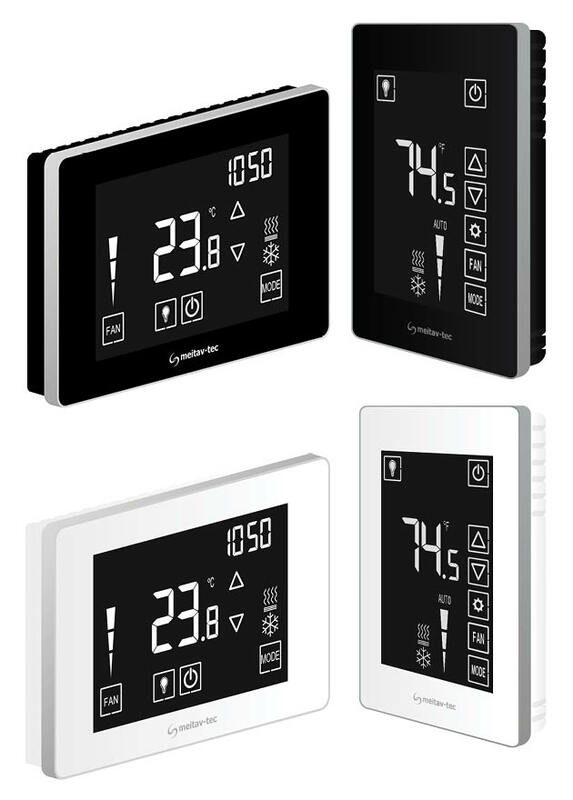 110-220vac operated (24v model available)The MTS Touch Screen is a stylish thermostat that is well suited for commercial and residential applications. It can control either Heat/Cool A/C systems or Fan Coils (2-pipe or 4-pipe systems) and offers 3 fan speeds as well as VFS (0-10V)fan output.